Headaches are very common among men and women of all age groups. The discomforts can range from feelings of nausea to intense pain in the temple area or throughout the head. You may feel an aversion to sound, light or even the smallest of movements. The causes of headache can be restlessness, lack of sleep, migraine or dehydration. Our physical health depends upon our mental well-being to a far greater extent than what most people tend to believe. So, the inevitable stress of everyday life plays a part in headaches as well. Meditation is the perfect way to establish a connection between the body and the mind. It calms your mind down, keeps the distractions away and lets you focus your attention. 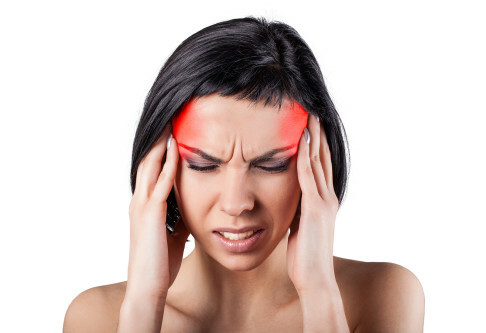 Many times the plain and simple reason for a headache is the lack of oxygen in certain parts of the head. Meditation makes you breathe properly, heals such ailments and reinvigorates the energy levels of the body immediately. At times due to the hustle and bustle of everyday life people tend to forget about their bodies. This has an adverse effect on all the body parts including the head. Massaging gets the blood flowing properly again. Massaging the neck and head area allows the muscles in those areas to relax which can cure your headache in a jiffy. In case you are suffering from a headache, putting an ice pack over the forehead can provide you with some solace in as little as 5 minutes time. If ice packs are not available you can use frozen vegetables. Apply some sort of a wet cloth or a cold compress. The numbness will shrink the blood vessels which in turn will ensure better blood circulation. One of the recurrent causes for a headache is dehydration. If the discomforts are related to the lack of consumption of water, than obviously drinking adequate amounts of water is the best way towards recovery. In such a situation, your goal would be to stay hydrated all the time by taking regular sips of water throughout the day and to stay away from all the stuff like alcohol that can dehydrate you. Whenever you get the feeling that the headache is starting to get the better of you it would be a great idea for you to intake some pieces of apple. You can add some salt to it in order to raise its effectiveness. This is a great way to get instant results. It has also been found that cutting a green apple and just smelling it can relieve your problems greatly. Everyone knows that lemons are enriched with vitamin C and they have countless health benefits. Lemons can also be one of the most effective health remedies that can cure headache. Take a glass of water, mix a few drops of lemon and drink it. The effectiveness of this particular method can not be stressed enough. You can also take some lemon tea or apply a bit of lemon paste on the forehead. These alternative methods are very useful too in terms of producing rapid results. Talking about remedies that work fast, betel leaves are probably the ones that start working the quickest. You can take 4 or 5 betel leaves, grind them and create a paste. Apply it on your forehead and given the fact that betel leaves are filled with analgesic properties, you will feel the relief in a matter of seconds. You also have the option of chewing a couple of betel leaves and that too may well work wonders. Almonds can reduce the excitation of the nerves and relax the muscles. That is exactly what you need when you are down with a headache. Certain pain-relieving chemicals that are present in almonds can minimize the distress caused by a headache. Not only does it reduce the consequences of a headache, it has been proven that taking almonds in a regular basis can even prevent the headaches in the first place. So, this is one remedy which is certainly worth a try. Ginger is used in various home remedies for its fascinating medicinal characteristics. It can aid in the process of relieving headache pain due to its anti inflammatory properties. Ginger can even reduce the swelling of the brain by relaxing the blood vessels. So whenever you suffer from a headache, you can try taking a few cups of ginger tea in the day. Various studies are available to back up the fact that applying cayenne to the nasal passage reduces the ill-effects of headaches to a considerable degree. Cayenne has properties that naturally treat inflammation and pain. The idea of using something spicy in order to counter headaches may not be conventional, but it certainly is fruitful. Dilute a bit of cayenne powder in warm water, use a cotton swab to slowly put it in your nostril and let it work its magic. You should spend some time alone. Lying down and relaxing in a dark room without distractions can assist in minimizing the distress. You can apply a heating pad or some warm cloth around your neck region in order to release the tension. You can go for a 10-15 minutes walk. That can bring your neurotransmitters back in peak condition. Avoid food items like eggs, ice cream, cheese, corn, barley, oats, wheat, red wine, vanilla during this period. Sit straight. Slumping while you are sitting is probably one of the worst practices during headaches as it can put additional stress on the neck which can pinch some nerves and trigger more pain.